Hi there! Hope you all had a great weekend, sorry I haven't been posting much this week. 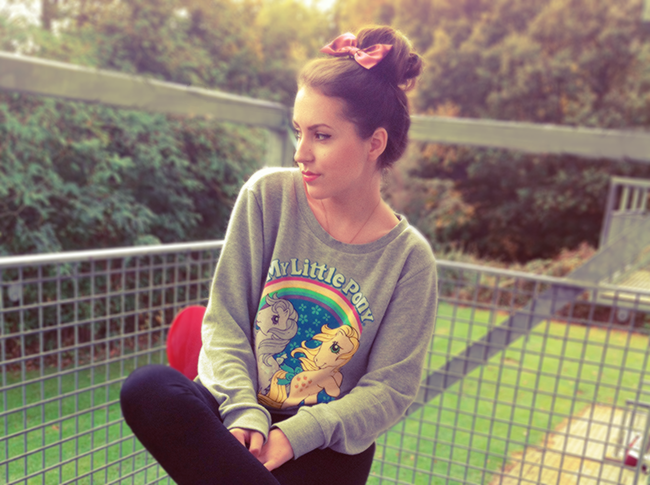 Here's an outfit of the day for today, jumper ans sneakers, something different from me, huh? Hope you like it and have a great day! I love this outfit, you look so freaking cute !! The outfit is both comfy and whimsical. Makes me want to head to the local thrift shop and pick up some cutesy sweaters for myself. You look lovely! 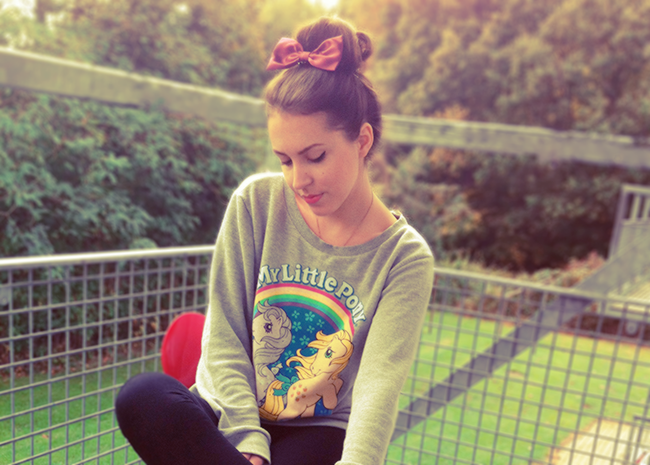 I like your pony jumper. i love ponies to death! wish i could have that sweater! So pretty! This blog is amazing! Love the sneakers!! Crazy cute! And I also love the way you teamed the bow in your hair to go with the outfit! So cute! !